What a "picture perfect" photo! Should be on a post card. Great photo - wonderful light! 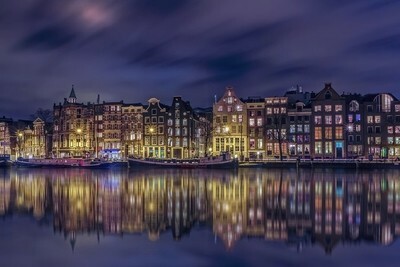 The canal houses of Amsterdam on the Amstel during the blue hour.